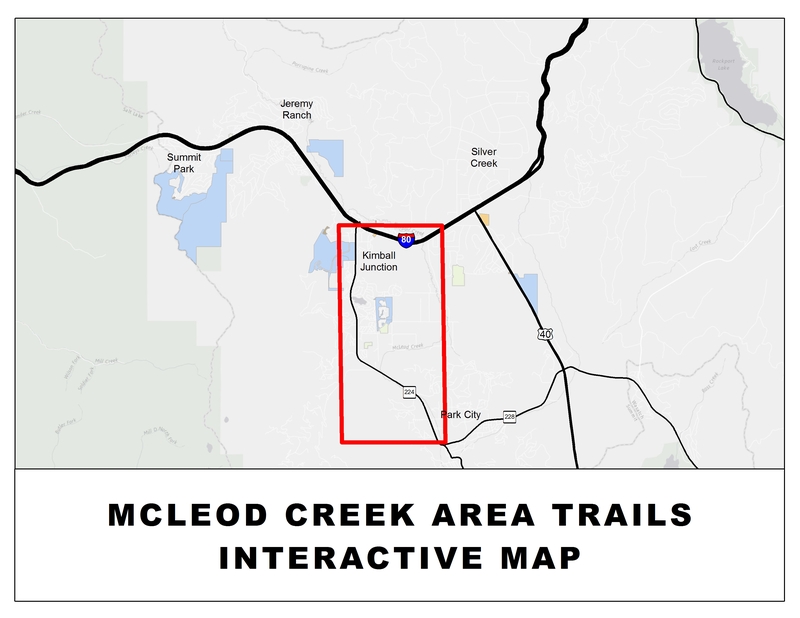 The McLeod Creek Trail and East 224 Trail connect the incorporated area of Park City to Kimball Junction and beyond, including connections to both Matt Knoop Memorial Park and Willow Creek Park. 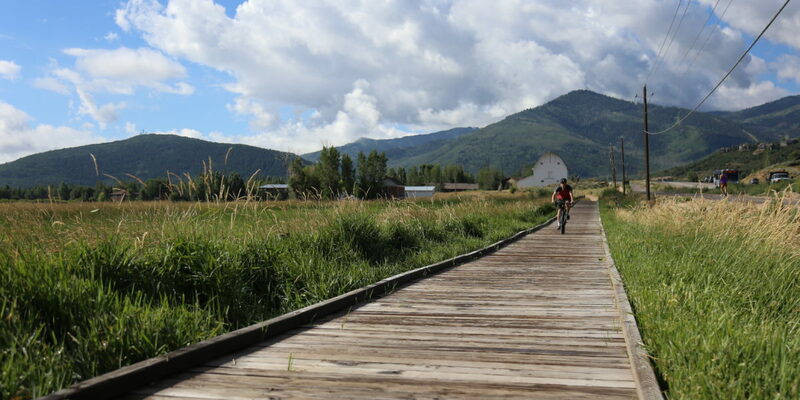 Users are treated to a scenic trail through wetlands, around the farm, over bridges and along the creek. This is a flat and wide trail, allowing for joggers, burley trailers and young bicycle riders. If users choose to bike from Park City north towards Kimball Junction, Matt Knoop Memorial Park and Willow Creek Park make for nice stops where restrooms, water and other great park amenities are available. At Matt Knoop Memorial Park, users can access Miss Billies Bypass around the park as well as take laps on Ike’s Pump Track. There are an additional 2.5 miles of soft and hard surface trails around Willow Creek Park. Users have a terrific opportunity to view wildlife as they traverse the Swaner Nature Preserve. Continue to Kimball Junction for The Basin Fieldhouse, restaurants and shops. Please park at the Basin Recreation Fieldhouse, Matt Knoop Memorial Park, Willow Creek Park or the Park City Trailhead located on Highway 224 across from the White Barn.